This is a olive caucasian panel design handmade afghan rug in 100% wool. Very smooth texture giving comfort to underfoot and is durable at the same time. - Olive Caucasian panel design rug in soothing tones. 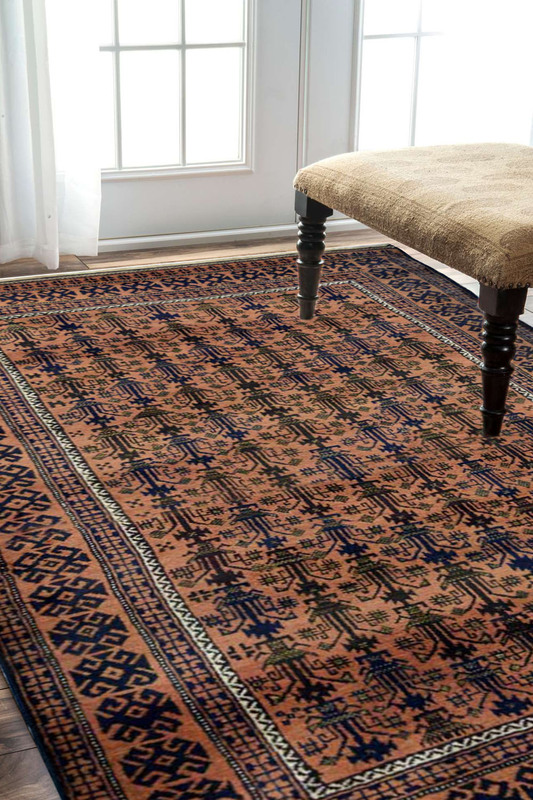 - This Rugsandbeyond rug is meticulously handmade in 100% wool with an intricate pattern. - Its design has very detailed work and craftsmanship. - The primary color is soothing brown with shades of soft blue and olive green. - The border is floral motifs throughout while the center has a panel design. - Suitable for a room with bare minimum interiors.